If copper is your thing, this is the perfect clock to hang next to Grandma's copper pots and pans in your kitchen or above the copper fireplace utensils in your family living area. 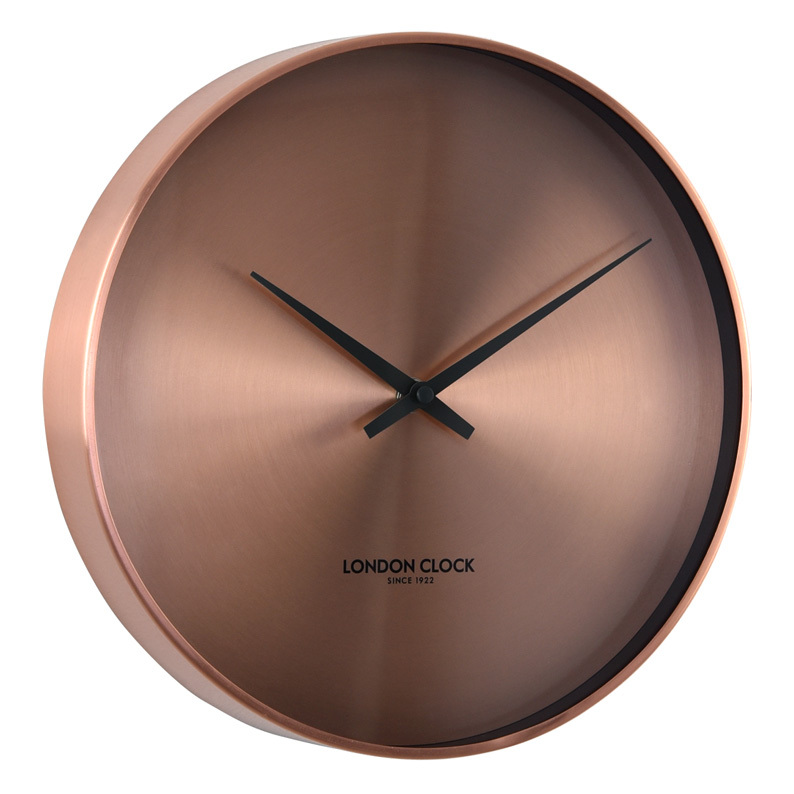 The clock is simple and elegant with a glossy copper finish and a spun metal dial. The open, clean face has no numbers and a set of black hands indicate the time. A black inner rim adds a dramatic finishing touch. The ideal décor piece for vintage, cottage and rustic themed homes. Size 27cm diameter, 4.5cm depth.